As everyone anticipates and starts the countdown to Hudson River’s first ever floating catwalk next Thursday, we look back at Jessica Minh Anh’s most iconic hairstyles in her many history-making catwalks. The model and catwalk producer has continuously amazed the world with her fashion phenomena on the Grand Canyon Skywalk, Eiffel Tower, One World Trade Center, London’s Tower Bridge, PETRONAS Twin Towers’ Skybridge, Gardens by the Bay’s Skyway , Seine River in Paris, and Costa Atlantica’s sundeck in Dubai. 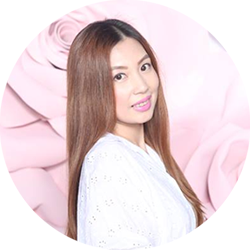 Besides innovative catwalk presentation, Jessica Minh Anh is known for her extraordinary hairstyles that compliment her exotic look. Jessica Minh Anh will transform the Hudson River in New York into the world’s newest catwalk on 19 March 2015. The highly anticipated 100 metre floating catwalk will present fashion and New York, as we know it, in a new light. Pushing the visual envelopes, Jessica will have guests seated facing the multi-faceted glass window of Bateaux New York while the boat is cruising and watch models walking in front of them as if they were walking on water. Thanks to the panoramic view from the giant glass boat, New York’s famous skyline and its architectural masterpieces such as the Brooklyn Bridge, Statue of Liberty, and One World Trade Center, will become the natural backdrop for the iconic catwalk. Similar to Jessica Minh Anh’s previous runways, J Spring Fashion Show 2015 will combine art, architecture, culture, and fashion and showcase the most exquisite haute couture, high end ready to wear and luxury accessory collections from 12 countries in 4 continents. Participating designers embrace tradition and culture, yet experiment with innovative technique of modern designs.